Situated on the northern slopes of Mount Moussala - the highest mountain Bulgaria, Borovets is Bulgaria's oldest ski resort. Dating from the 19th century, it has now developed into the largest and most modern ski resort in Bulgaria. The majority of the runs are rated medium to difficult. 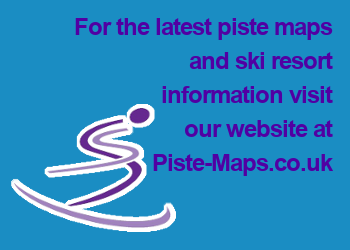 With marked ski runs totaling 58km (36 miles), there are also 35km (22 miles) of cross-country ski runs, plus biathlon and ski-jumping facilities. In addition to central Borovets ski centre, adjacent Yastrebetz has runs between 1,340m (4,396ft) and 2,369m (7,772ft), and Markudjik between 2,340m (7,677ft) and 2,550m (8,366ft). Sofia - 75km. Plovdiv - 120km. 1,330 - 2,560m (4,290 - 8,300ft). 4 blue, 12 red, 1 black. 1 gondola, 6 chair-lifts, 8 drag-lifts. Villa Stresov, Borovets Hills Hotel. Samokov Hotel, Flora Apartments, Ice Angels Hotel, Rila Hotel. Malina Villas, Mura Hotel, Yagoda Villas. The Best Bars and Restaurants . Buzz Bar - open 3pm to 4am. Mamacitas - Mexican - can get very busy. Chilli Pepers - serves a selection of home made dishes, including pizza pasta curry steak & Guinness pie, fish & chips and steaks. Live music, resident DJ, happy hour & Sky Sports.